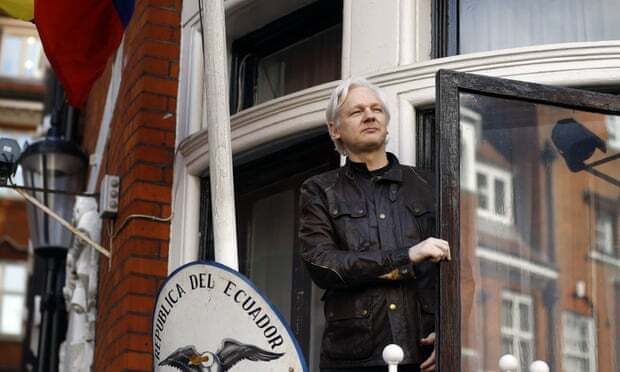 Assange, 47, who has spent almost seven years at the embassy after seeking refuge there to avoid extradition to Sweden, was detained after the Ecuadorian government withdrew his asylum, Scotland Yard said. He was held on a warrant issued by Westminster magistrates court on 29 June 2012 when he failed to surrender to the court. Scotland Yard said: “He has been taken into custody at a central London police station where he will remain, before being presented before Westminster magistrates court as soon as is possible. His arrest comes a day after Wikileaks accused the Ecuadorian government of an “extensive spying operation” against Assange.